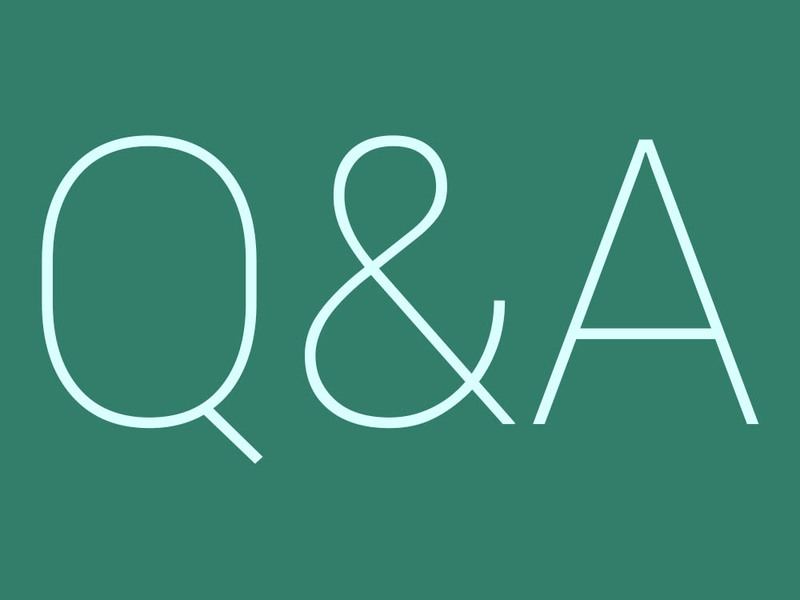 Don’t worry, we didn’t forget about Volume 31 of the DL Q&A Sessions. Early last week, we asked our lovely community to send in their questions, and you didn’t disappoint. We had a ton of fun questions to go through, many of them focusing heavily on what is in store for the near future. Below, we go over what we want to see from the upcoming Nexus device(s), what needs fixing in Android Wear, what Apple products we are guilty of using, and what we would be doing if Droid Life never existed. Do you think BlackBerry’s upcoming Android-based smartphone will strengthen the perception of Android’s commitment to security? T: No, not really. While I believe Android is already pretty secure, at least for me, BlackBerry is likely implementing their own goodies to strengthen Android at its core. Most Android users will not see this, as it will be limited to BlackBerry handsets. So, like, 5 people will benefit from any BlackBerry does. R: Nope. It’s a totally separate product by a separate company that is in the process of dying. I doubt many people even know about the upcoming phone much less care about it or what it means for Android’s security. That’s not a bad thing either – it doesn’t mean anything unless 1. it’s actually more secure and 2. Google integrates it into Android itself. 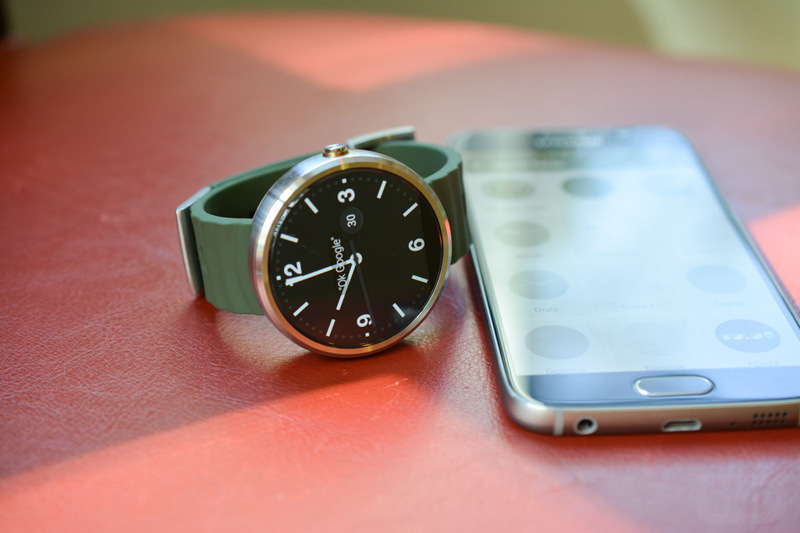 What do you think needs to be improved in Android Wear? K: If you were listing top 5 things, battery life would be listed in all 5 lines. After that, the voice dictation and action stuff all needs improved. Maybe the Moto 360 is just terrible at it, but I always find myself having to repeat command after command. T: Battery life, of course. Beyond that, little random jank things, like stuttering transition animations. I hate that. I want buttery smooth. R: The big thing I would like to see for Android Wear is watches for women. Women tend to have smaller wrists and women’s fashion tends towards smaller sized watch faces. That means compromising with the battery size and screen size, but it’s doable. Right now most Android Wear OEMs are ignoring half of the population, which is bad for business on the one hand and bad for society on the other. Women want to have smart watches too, they just want them to be fashionable and look like they were designed for their bodies. After that, keep making the software better, improve battery life, and bump up the resolution. Which Apple products are you guilty of using and why? K: I use Apple computers exclusively. Was a Windows guy forever, but then made the switch 3 or 4 years ago. Haven’t found a reason to go back. I also use an Airport Extreme/Express setup for my home WiFi. Otherwise, I do actually go for runs often with an iPhone 6, just because the phone is nice and light. T: At home in the office I use a beefed up Mac Mini for daily usage, and when traveling, I use a MacBook Pro. You won’t see me with an iPhone or iPod, but I do enjoy Apple’s computers. R: I use an iPhone 5c as my carry device and a MacBook Air for writing and photography. I use the 5c because iOS fits my needs better than Android does. Essentially, I’d rather have new apps sooner than new OS features and I prefer how iOS works most of the time. Also things like iMessage have become integral to the way I communicate with my loved ones. Could I just use SMS? Sure, but why go back to the stone ages? And no, I don’t have the energy to convince people to use Google Hangouts. I use the MacBook Air because it’s lightweight, beautifully crafted, and it has the software I like to use to edit photographs (Lightroom and Pixelmator). 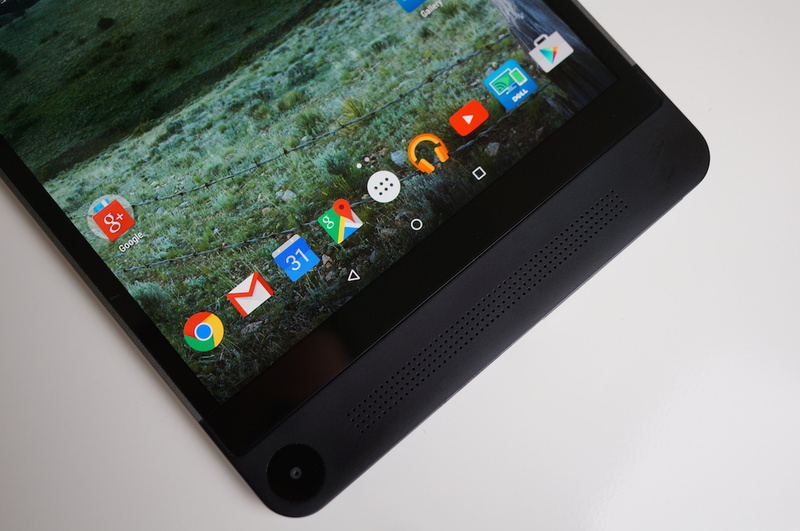 Best tablet on the market right now? K: I feel like we answered this recently, but probably the Nexus 9. But really, tablets are kind of a dying tech these days for consumers. Just buy a small laptop. T: For me, it’s either the SHIELD Tablet from NVIDIA or Venue 8 series from Dell. Both are solid choices. R: I like the latest iPad Air quite a bit, though I’m still “struggling” by with my 3rd generation iPad. On the Android side I really like the Nexus 9 and Shield. What’s the longest any of you have had to stay “unplugged”? K: I (fortunately) haven’t gone long enough that phones have been dead for days or anything, but I’ve certainly had a couple of long nights with the Moto X, where the phone was dead by 11PM and I was without any form of communication for 3+ hours. That’s never fun. T: Sadly, the longest I go “unplugged” these days is about 8 hours when I’m snoozing at night. Even when I’m on vacation, I have my phone because I use it as my main camera. Sure, my girlfriend hates me for it, but having quick access to Google Maps and Search is important for me, even when traveling. I need to go camping or something just to completely unplug. R: I stopped using all social media for Lent a couple years ago. That was an incredibly refreshing time for me. I love social media, but I’ll admit it has affected the way I think in ways that are not always beneficial and it has definitely limited my ability to stop and reflect as easily. Sounds like I need another break! You’re locked down; only ONE device for TWO years on ONE carrier. What, who, why? K: Ugh, such tough. Maybe the G4 right now, on AT&T, just because of its battery life and AT&T’s decent network. I love the S6, but it’s battery life is beyond terrible, as is performance for me lately with 5.1.1. T: Two years? Who could ever use the same phone for two whole years? That’s impossible. But if I had to, I’d go with a Galaxy S6 on AT&T. Solid network whenever I am on it. As for the choice in phone, I would be choosing it for the camera, mostly. Sure, battery life could be better, but whatever. It’d be a good phone for two years, I’m assuming. R: This has been my situation for years. My plan right now is to get an iPhone 6s on Verizon because I prefer iOS and Verizon has great coverage. If I were going to switch to Android today I would probably heavily consider waiting for the Note 5 on AT&T or Verizon. For coverage reasons alone I think AT&T and Verizon are the only options unless you get great service from Sprint or T-Mobile in your area and never, ever travel. As for the phones, I’ve stated why I like iOS already. The Note 5 probably won’t be the perfect Android phone we’ve always been dreaming of, but I think Samsung has been able to get the closest this year and I expect the Note 5 to deliver. I’d also consider the OnePlus 2. Do you think Android version M will roll out quicker and with less issues than Lollipop? K: Doubtful. Well, it might be OK, since it’s not a massive change from Lollipop like Lollipop was from Jelly Bean. It could be better. It will be better, just because everyone’s phones will finally stop being as buggy. Maybe. Hopefully. T: I sure do hope so! Lollipop was pretty much garbage when first released, but it seems to be getting better. I’m running Android M on the Nexus 6, and besides a few app crashes here and there, it seems pretty stable. Here’s hoping Google doesn’t screw us. R: Lollipop rolled out very quickly for a new version of Android despite all the major bugs. I expect M will roll out at a similar pace assuming all things stay the same. It took a lot of work for OEMs to get Lollipop to work on their devices. If M is a lot more stable then it may take less work, but it’s still a substantial amount of work. 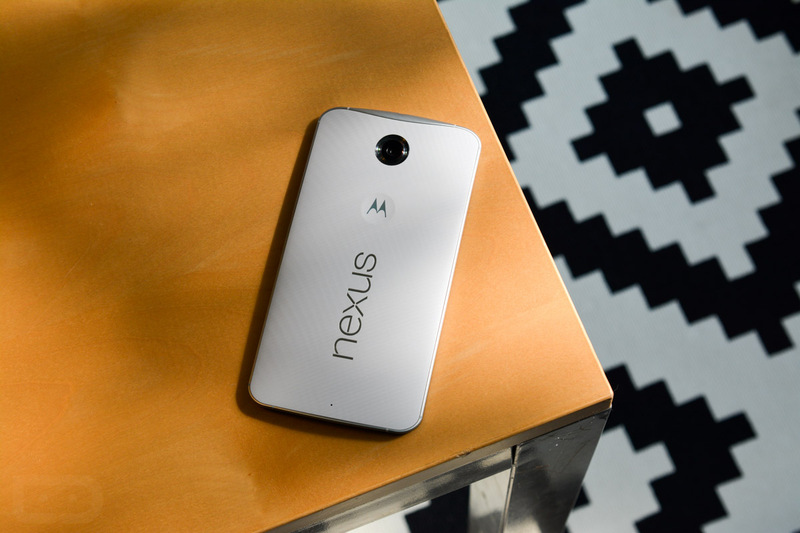 What are you really looking for from the 2015 Nexus smartphone(s)? K: I hope the rumors of a Nexus 5 (2015) from LG are correct. I would love for it to be similarly sized to the 2013 Nexus 5 as well. We need normal sized phones. We really do. Not all of us like whales. T: I want a revamped Nexus 5 from LG. I don’t need a 6″ display. I just don’t. Something with a 1080p display is fine, big battery, good camera, and fingerprint reader. Is that so hard, Google and partners? R: The same things we look for every year, Pinky: availability on every major carrier, great handset design, a great camera, and a fingerprint reader for security. I think we’ll get two or three of those this year. If you weren’t doing Droid Life, what field would you be in? K: I would probably shoot for something in sports. I can’t tell you what, but either with a pro sports team or marketing outfit that supports a sports team or athlete. I’m kind of a sports freak outside of tech. T: I would work for Nike, looking for better ways to squeeze every penny out of hypebeast consumers. I would introduce Yeezy-colored Jordans, Flyknit Jordans, Flyknit Foamposites. You know what, just Flyknit all the things, I don’t care. And if Nike won’t hire me, then I would probably be playing guitar in a very unsuccessful metal band in the Bay Area, barely scraping by day-to-day on Cup-a-Noodles and last night’s flat beer. It’s a tough life, but I’m an artist and I must spread my voice across the lands. R: Droid Life has always been a side project for me. In my day job I work for a computer consulting company as well as lead worship for my church. I’m also in the process of launching a photography business. So probably the same thing: multiple jobs to meet my desire to work on lots of fun, creative projects.